Thel Open 5.70 Spring Dash is the second race of the Northern California fleet 2012 season. Conditions allowing, a minimum of 7 races are planned with 1 throwout if more than 6 races are held. Saturday will feature a couple of practice starts before actual racing begins. See the NOR for more details. SIs will be published by end of business on 4/18/2012. 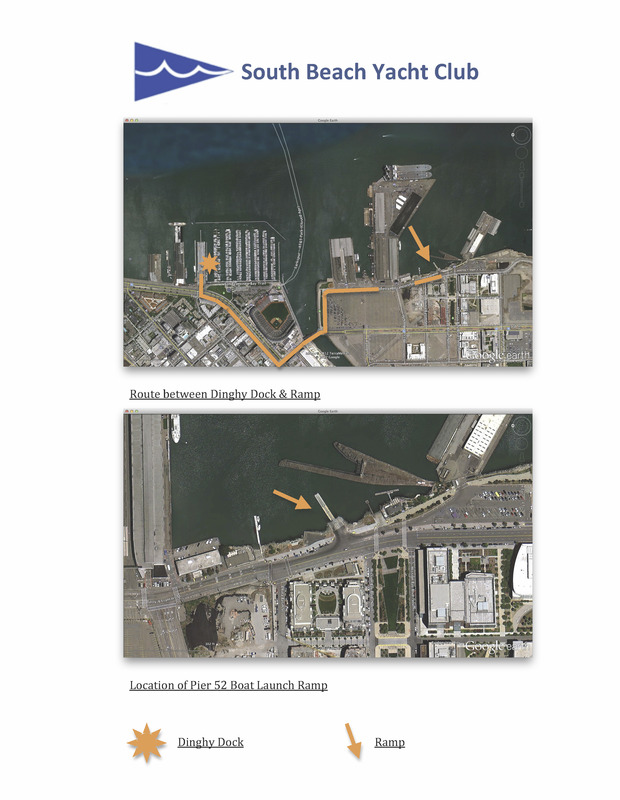 The South Beach Marina Slip map and public parking maps have been posted to the Documents page. Welcome to the Open 5.70 Spring Dash! In addition to your regatta registration, South Beach Harbor slip reservations and parking permits for this regatta may be made and paid for at this regatta's Store Front page on the Regatta Network. Saturday Dinner menu selections may also be made on the Store Front page, but will be paid for at SBYC. Registration is not complete until all registration, slip, and parking fees are paid. All competitors will splash their boats at the Pier 52 Ramp. See Ramp Location Map on the registration website for more info. Competitors will use their outboard motors to move their boats to their slips. Available slip#'s are B7, B10, A70, A72, A74, and A76. Slip numbers will be assigned on a first come first served basis and boats will be doubled up in a single slip. Any competitor without an outboard motor may request a tow from the ramp between the hours of 7am and 8:30am on Saturday, 4/21. Towing is limited so be sure to make your request in your registration. Trailers will be stored inside of Pier 40 at the South Beach Marina.